We most often come across three way traffic jam in our city. This PLC program gives the solution to control heavy traffic jam using programmable logic control. 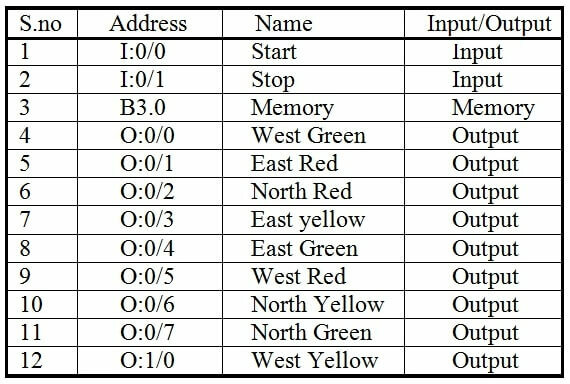 They are so many ways to write a program for traffic light control ex: sequencer output method but in this normal input, outputs and timers are used. Timers are used to give time delay for output to turn ON and OFF. Reset coil is used at the end to run the program continuously. Comparator blocks are used to reduce the number of timers used. Program done in AB RSLogix 500 Software. 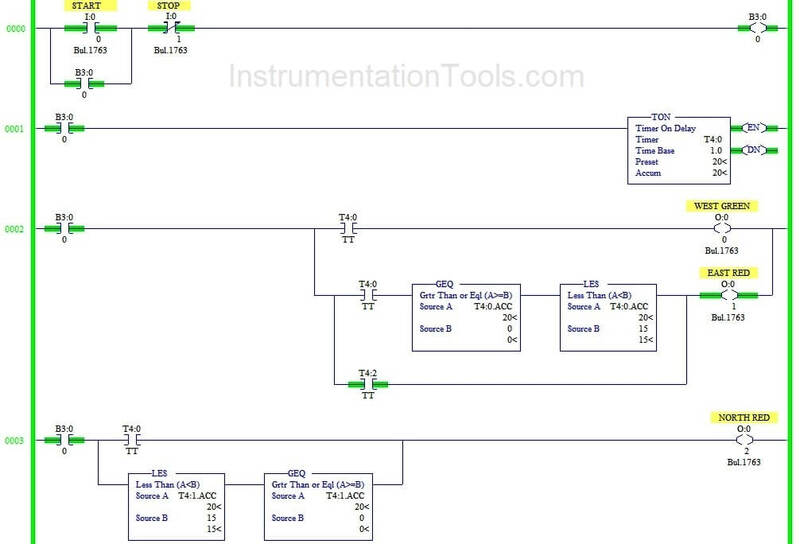 Below tabular column gives the Steps or sequence of outputs to turn ON. This is Latching rung to operate the system through Master Start and Stop PB. Starting the timer to turn ON first output West Green so east and west should be in red. Turning ON North Red up to 3rd step using T4:0 and T4:1’s timer timing bit and comparator blocks. 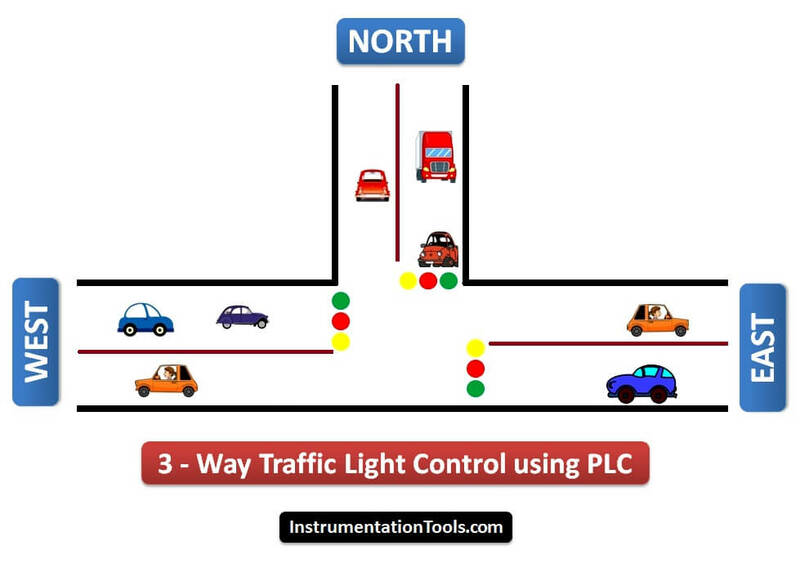 The above explained 3 ways traffic light control using PLC is for example only. It may vary from real time. 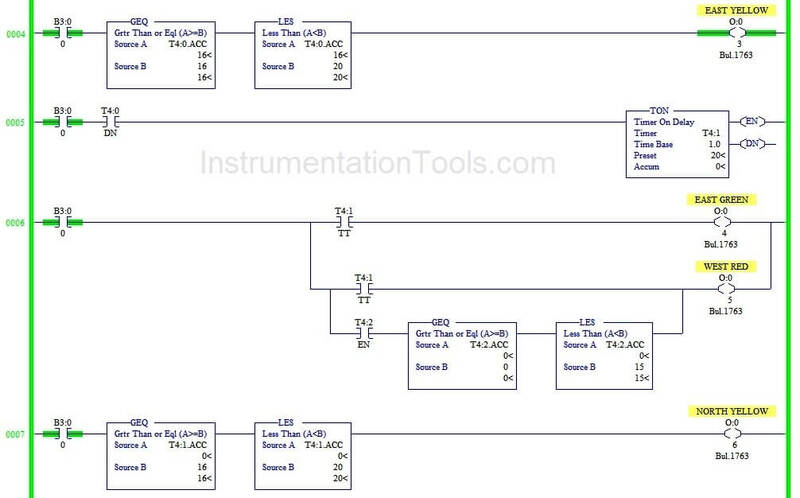 We can use this example program to understand the working of timers and comparator block function in AB PLC. 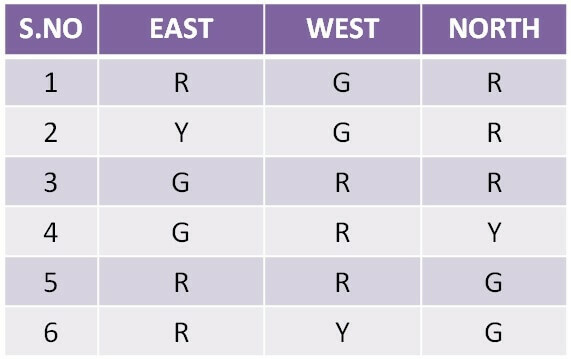 What is Loop Checking ? If it is possible and ok with you, can you get back the pdf downloading for your articles?